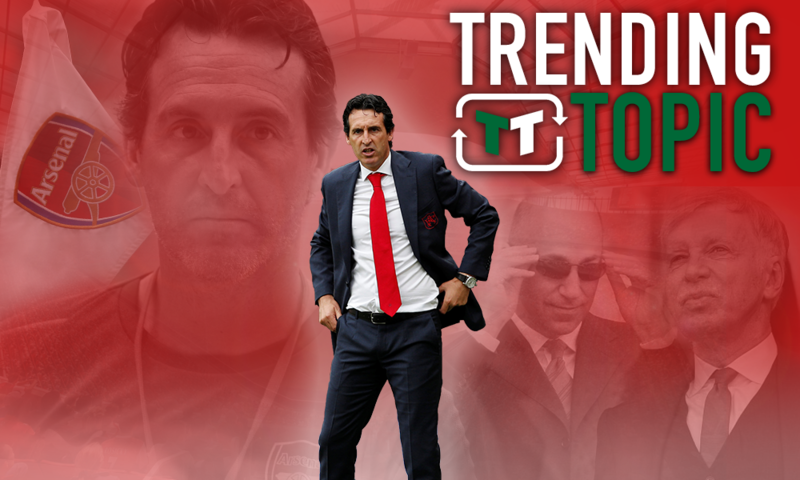 Opinion: Emery is now paying the price for Arsenal's big-money February mistake | The Transfer Tavern | News, breakdown and analysis on all things football! Arsenal were, naturally, delighted when Mesut Ozil agreed fresh terms at the Emirates on February 1st 2018. Since moving to the club in the 2013/14 season from Real Madrid, the German has continually been a crucial part of the team. In that first campaign, he picked up 5 goals and 9 assists – and that was a sign of things to come from the club. More goals and more assists followed, and obviously, his time in London was expected to be extended. However, weeks and months passed with no news, and at one point, Ozil was just 6 months away from leaving the club on a free alongside Alexis Sanchez. However, almost magically, on February 1st he agreed a new deal with the club, much to the delight of Arsenal fans everywhere. A three-and-a-half year deal confirmed that his long-term future would be in London, and it would be in the famous red of the Gunners. Fast forward a year, though, and the decision to renew his contract is beginning to look like a bit of a mistake. According to the Telegraph, Arsenal are facing a crunch period in terms of their finances, with Unai Emery unlikely to get significant backing in January as the Gunners await fresh commercial opportunities next summer. Now, then, you’ve got to ask the question – was it all really worth it? Well, on first glance, simply by looking at the figures involved, you’ve got to question that. 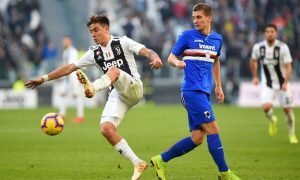 He’s reportedly earning a whopping £350,000-per-week, a figure that is likely pushing him above many of the Premier League’s other biggest stars. Given Arsenal’s current standing – they haven’t challenged for the Premier League for the best part of a decade – it makes little sense for a player to be earning such a significant wage. 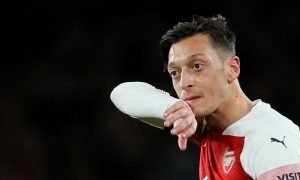 Now, that would perhaps be more acceptable if Ozil was a standout player for Arsenal – but that simply hasn’t been the case. Since signing his new contract on February 1st, Ozil has played in 15 games, yet he’s scored just 1 goal. Granted, his 7 assist return in that time is solid, but three of those came in just one game – highlighting just how inconsistent the German is. In fact, he has failed to bag either a goal or an assist in 10 of his 15 games since signing a new deal, which further highlights this problem. Ozil is viewed as the playmaker of this team; the midfield catalyst if you will. They’re the sort of players that serve the purpose of producing magic and winning multiple points for the team throughout the course of the season. Just think of how many times the likes of Eden Hazard, Antoine Griezmann or even Paul Pogba have done just that for their respective teams over the years. 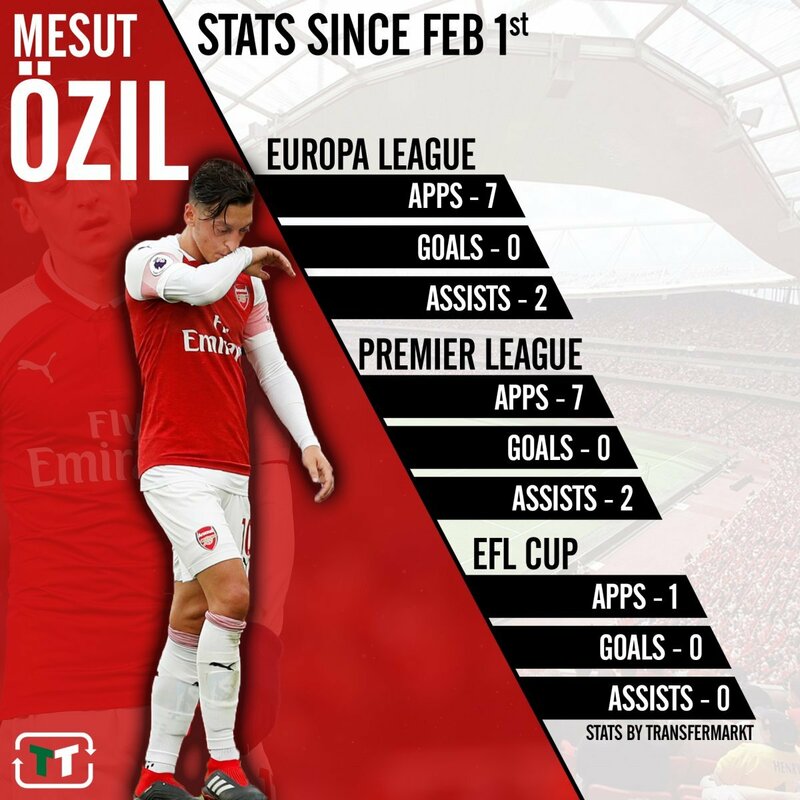 In Ozil’s cases, though, his record has far more blotches than most. Given his performances, then, it makes little sense for him to be on such a significant wage packet – especially for a team that, seemingly, has some financial problems. Emery already has a huge task on his hands at the Emirates, and this is only going to make his job more difficult.